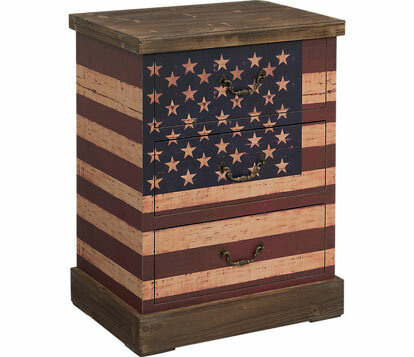 Both heartwarming and inviting, Americana decor celebrates tradition while adding refreshing touches to today’s homes. 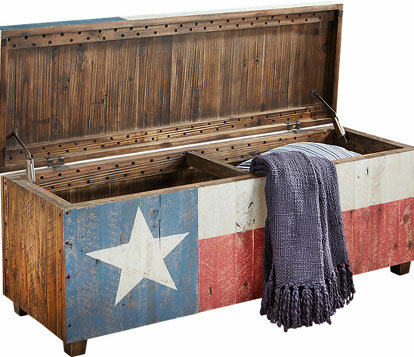 Beautifully incorporating into a wide range of interior decor styles from country farmhouse to industrial and vintage to modern, embracing Americana accents and embellishments creates unique spaces that are irresistibly engaging. 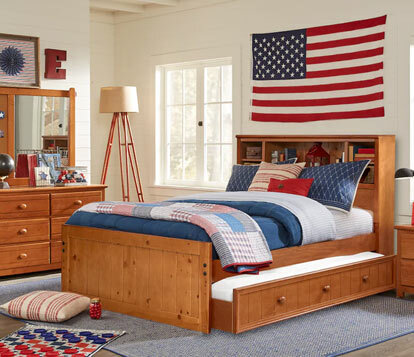 From living spaces and cozy dining areas to kid’s rooms and backyard patios, any space in your home is a candidate to be sprinkled with red-white-and-blue. 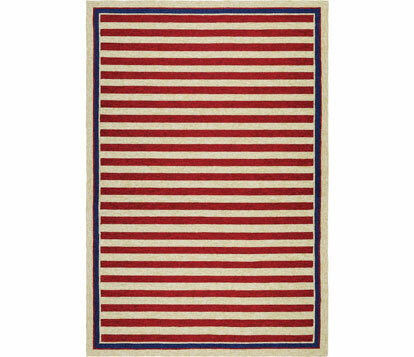 Adding patriotic panache doesn’t have to mean limiting your choices to a primary-only color scheme. Blues can range from deep navy to softer country blue while reds can be vivid crimson to sultry merlot. Americana can celebrate the entire US or any of the glorious fifty states. 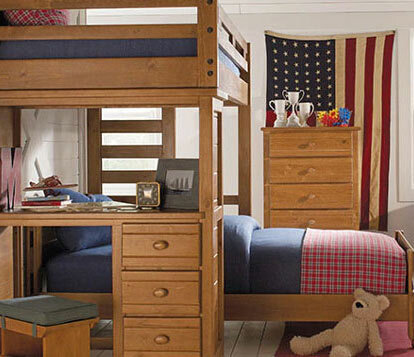 Kid’s rooms are an easy spot to capitalize on “Old Glory” hues. With so many elements available in shades of red and blue, you’ll have lots of options in decking out a stylish spot for your little ones. Let your youngster pick the dominate color and then accent with the other. Remember to incorporate similar hues or shades to layer the look. For instance mix navy blue and denim blue with soft heather blue and medium steel blue. 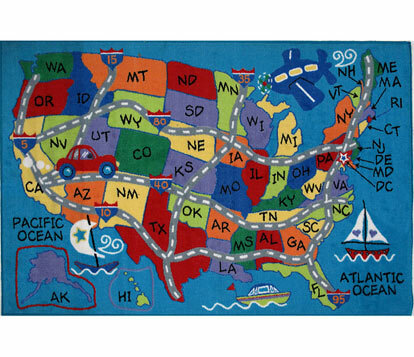 Familiar yet insprations, the US map reminds us of where we’ve been and where we aspire to visit. You may be reminded of friends and family sprinkled accross the fifty states. 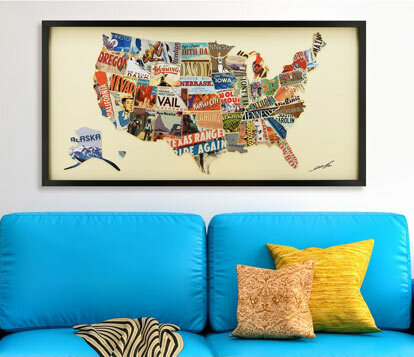 In the family room or playroom, a colorful map ads a pop of interest and style. There is no reason that your Stars and Stripes need to be only ornamental. 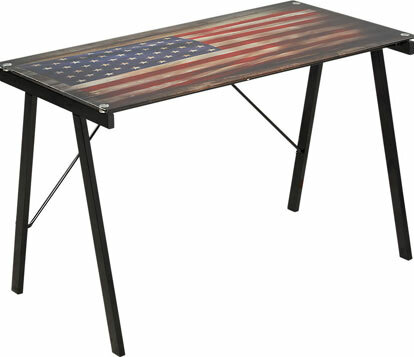 Add an Old Glory desk to your home office or a patriotic bar cabinet to the dining room. These versatile pieces will do double-duty, being both stylish and functional. 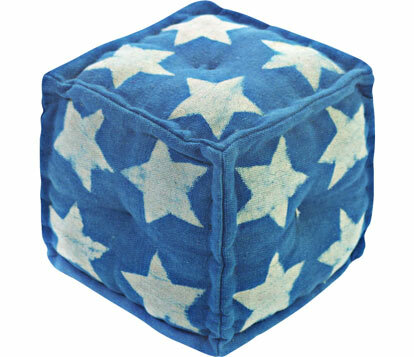 If you love the idea of patriotic decor but don’t want to be as literal as hanging the Star Spangled Banner, look for accents and accessories that contain the colors and elements of the flag to add subtle touches to your home. Display a cluster of tin stars on the wall, look for a rug or pillows with broad burgundy stripes, or add a star covered pouf to kick up your heals on in the living room. 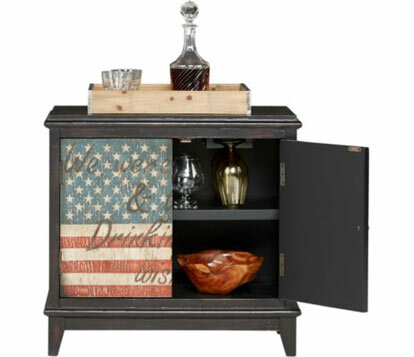 Whether you choose a bold or understated approach, adding Americana decor to your home creates an appealing and welcoming space where you will love spending time.